Sony Xperia go has a brilliant 3.5 inch Reality display and has a 5MP camera. It has a 1GHz dual core processor and runs on Android 2.3 OS. The device is upgradeable to Android 4.0. 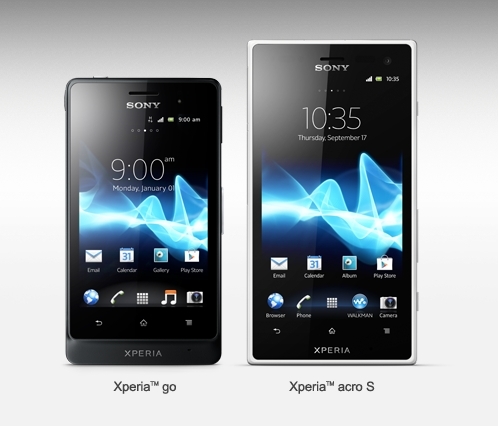 Sony Xperia acro S will be Sony's first smartphone to come pre-loaded with Android 4.0 or Ice Cream Sandwich OS. The smartphone features a 4.3 inch screen, 12MP rear camera that supports full HD video recording. There's 1.5GHz dual core processor and HDMI TV connectivity. 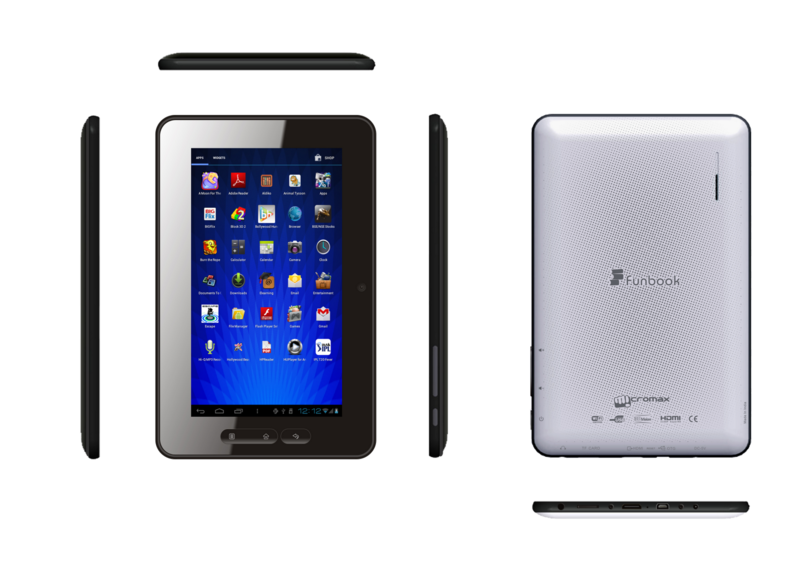 The Micromax Funbook Tablet is one of the cheapest Tablets of there.The Funbook has some nice Specifications that comes for only Rs 6,000.However there are also disappointing features.The Funbook is a 7'' inch Tablet and comes with a resolution of 800x480 pixels.The tablet weights around 350 grams. 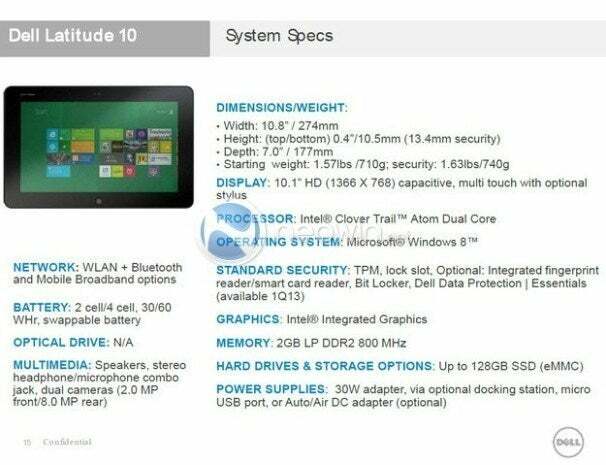 This Tablet comes with a 7 inch TFT Capacitive Touch screen and three hardware buttons-the Home,Menu and the Back button.The tablet comes with the Android 4.0.3 ICS out of the box.It has 1.2 GHz Cortex A8 Processor with Dual Mali 400 Gpu. 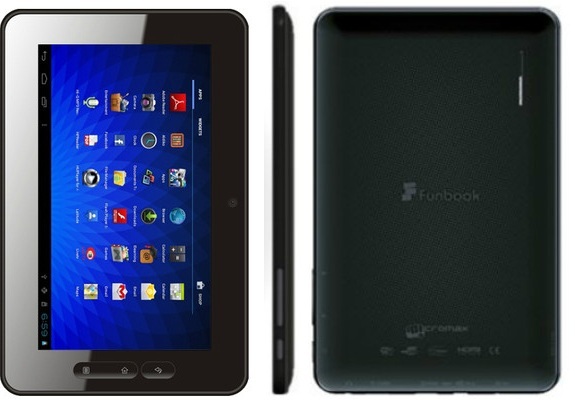 This tablet also provides the playback of Full HD 1080P Videos.It comes with a 2800Maph Battery and also an HDMI cable.The Funbook has a M Store app which has the apps of Micromax. Of course the Android Play Store can be used to download Tons of Apps. On the other side the tablet lacks the Bluetooth Connectivity and also Sim card facility.Internet is only possible through WIFI or a Tata Photon Dongle.The Battery life comes upto 4-5 hours of the Wifi usage and the tablet performs smooth.The tablet has a Front VGA Camera for the Skype calling and there is no Back Camera.The device has a Micro SD card slot that can be upto 32GB and the Internal Storage is upto 4GB.The Device has the RAM of 512 MB. Overall the device performs Extremely Good for the tablet in the Price of Only Rs 6,000. To install Windows XP., It Obviously takes 39minutes to Complete the Entire Process. 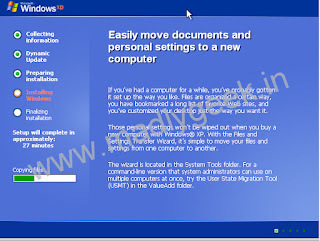 STEP1 : After the System Copies Certain Important Windows Files ... System is Rebooted and the installation setup appears as seen in the below image. STEP 2: Now As This Image APPEARS You Have to Just Press "Shift + F10" . 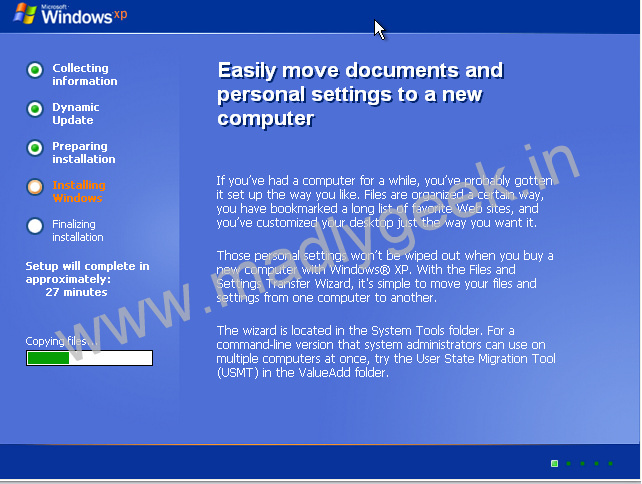 This Will Open The command Prompt... Now type taskmgr in it. This will open the Task manager . Thats All, Hope you Liked it. 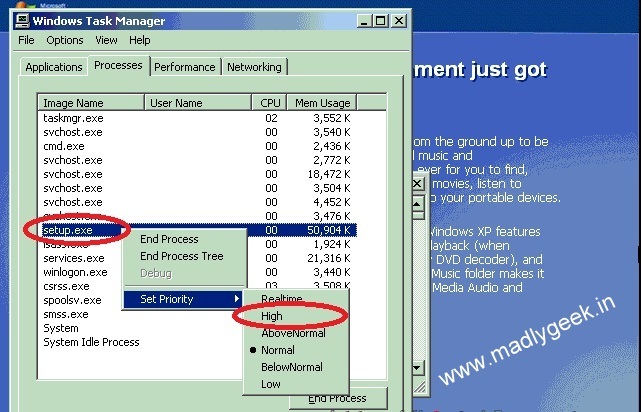 When you Format your PC Next Time This Trick will Definitely Save Your TIME. Facebook has hired a number of former Apple employees to work on a new Facebook phone codenamed “Buffy”. The New York Times says “more than half a dozen former Apple software and hardware engineers who worked on the iPhone, and one who worked on the iPad”, have been hired by Mark Zuckerberg to work on the project. According to one Facebook employee, Zuckerberg is concerned that by not producing a Facebook smartphone the social network will “simply become an app on other mobile platforms”. The company was previously said to be working closely with HTC over project "Buffy" and though that collaboration may still happen, it now appears Facebook could also be looking at producing hardware itself. 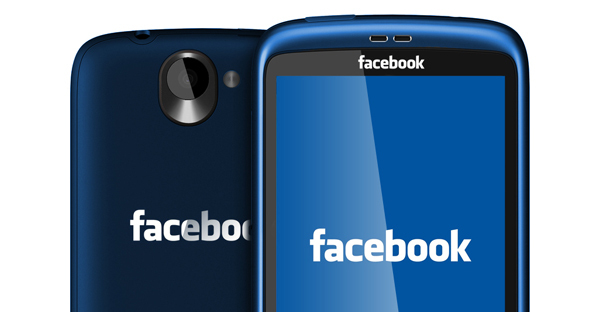 Would a Facebook phone really be anything new? Both INQ and HTC have issued their own “Facebook” phones in the past in the shape of the INQ1 and HTC ChaCha and HTC Salsa respectively. What's more, with Facebook coming preinstalled as an app on nearly every smartphone it’s unclear as to what new attributes an actual Facebook phone would bring to the mix. 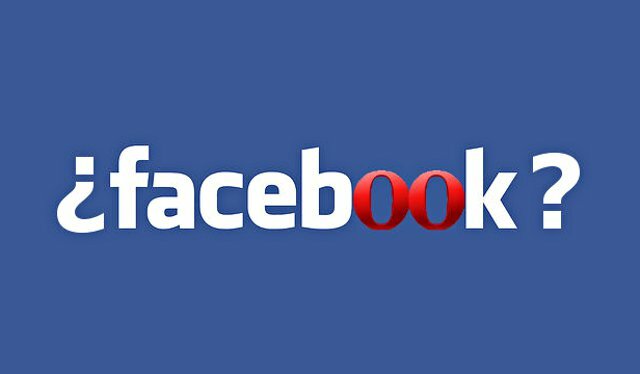 Perhaps a new Facebook phone ties in with the news that the company is looking to buy Opera Software, which could in turn create a new mobile platform exclusive to the handset. In 2010, Techcrunch reported that Facebook was "secretly" building a smartphone - although this particular project is said to have broken down. The company's desire to enter the smartphone market could be a result of increasing pressure to improve the potential of mobile to make money. In a statement for potential investors ahead of its initial public offering earlier this month, the company admitted it had concerns about more users accessing Facebook through their mobile - a trend which could make it more difficult to sell advertising. When asked by the BBC, a spokeswoman for Facebook said the company did not comment on speculation, and referred instead to a written statement. "Our mobile strategy is simple: we think every mobile device is better if it is deeply social," the statement read. "We're working across the entire mobile industry; with operators, hardware manufacturers, OS providers, and application developers to bring powerful social experiences to more people around the world." Whatever the speculation as to what a Facebook phone may or may not mean, Zuckerberg is said to be aiming to bring project “Buffy” to fruition by 2013. So what you people think about Facebook Entering up in the Smartphone Battle? Will it be a Wise Decision? Share your Thoughts with us. 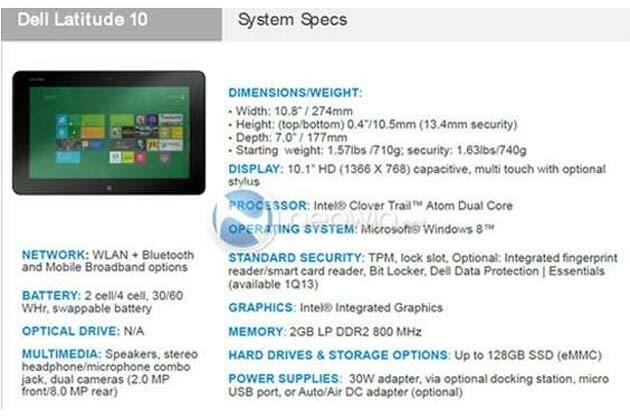 Dell is reportedly readying its Windows 8 Tablet and Its going to have the Power to take on the big boys. While Nokia Shrugged aside reports about a Windows 8 tablet,calling it 'misconstrued', a Windows 8 Tablet unexpectedly emerged from Dell. The unreleased tablet reportedly has a 10.1-inch display with 1366-by-768 resolution, an Intel Clover Trail Atom dual-core processor, 2 GB of RAM, up to 128 GB of solid state storage, a 2-megapixel camera in front and an 8-megapixel camera in back, according to Neowin. It is said to measure 0.4 inches thick and weigh 1.57 pounds. 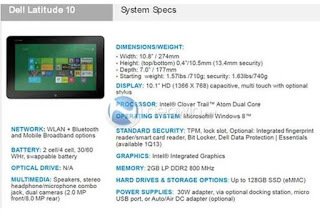 The specs are similar specs to those of the Hewlett-Packard “Slate 8” tablet. 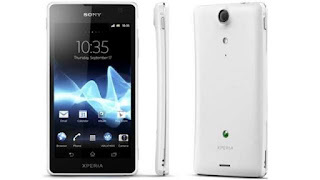 The Sony Ericsson Xperia Neo V was launched by the Sony Xperia group on the year 2011.It is an Android Smart Phone and was launched in India after the model of the Sony Ericsson Xperia Neo. This Smart Phone comes with a 1 GHz Single Core Snapdragon Processor with the android 2.3.4 Gingerbread out of the box.Sony has launched the update to ICS In April 2012.This phone has a 3.7 TFT Capacitive Touch Screen and also supports MultiTouch.It also has some attractive features like 5 MP Camera with HD 720 P Video recording,512 mb of RAM,320 mb of Internal Storage and Micro SD card is upto 32GB.Sony is generous to give a 2GB of SD card in the phone and also a Screen protector in the box. 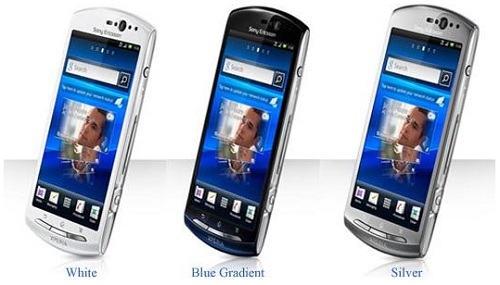 The Sony Ericsson Xperia Neo V Comes with three different colours-White,Blue and Silver. There are Millions of Apps in the Android Market that can be installed.This phone also has the Sony Timescape interface.We rate this phone for overall 8.5/10. 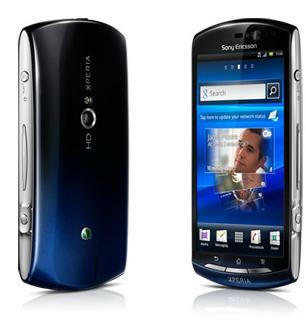 Overall This is a Recommended Phone for the price of Rupees 17000($330). The Social networking giant "Facebook" is planning to buy a Norwegian software firm in a bid to launch its own browser, according to a report. Tech blog Pocket-lint, cited unnamed 'trusted sources,' as saying that Facebook is looking at Opera Software, the company behind Opera Web browser, to expand into the browser space. According to CBS News, the move would place Facebook in competition with other tech companies in the browser game such as Yahoo, which recently launched Axis, and Google. The Next Web's sources revealed that Opera is in a hiring freeze and talking to potential buyers. The company reports about 200 million users across all of its platforms. Meanwhile, Facebook has declined to comment on the matter. While this could be very possible, it is important to remember that this is widely a rumor, and that casting our own assumptions on the subject matter will do no good. But we know for a fact that the move, if confirmed, will unlikely affect Chrome and Firefox. Let’s keep in mind that the success of Chrome and Firefox is due to one thing: better browsing experience. After Huge many reports of Nokia 808 PureView being priced at Rs 29,999 were snubbed by the Finnish mobile phone maker, its price is finally out in the open. Rs 32,000. The phone carries an MRP price tag of Rs 32,000. It is yet to be ascertained that whether this is the price at which Nokia will sell its camera frenzy 808 PureView smartphone. Nokia is yet to confirm the price for the smartphone. The innovative smartphone, sporting a 41 MP camera, will hit the Indian shores this month and Nokia is expected to reveal the price soon. 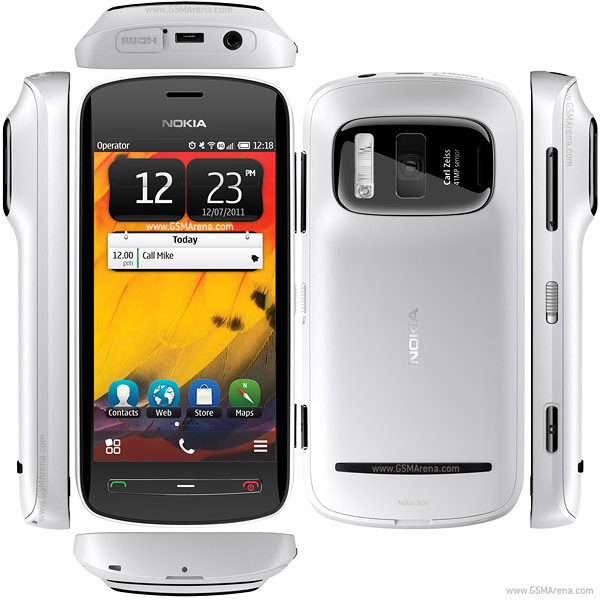 Nokia 808 PureView allows the user to shoot photos at different resolutions with the astronomical 41 MP camera sensor with Carl Zeiss optics. The camera allows for 1080p recording at 30fps, with 4x loss less zoom in accordance to the powerful image processing that is believed to handle over 1 billion pixels per second. The smartphone is expected to revolutionize the experience of camera and video shootings on mobile for the users. 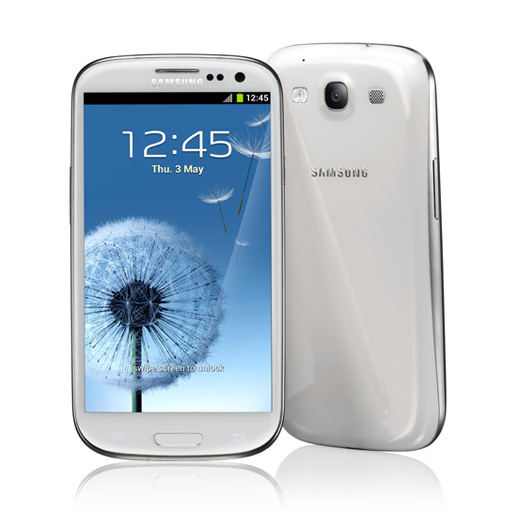 Samsung's latest smartphone Galaxy S III will be launched in India on May 31. According to a news report, the launch will take place in New Delhi, and the phone could be priced at Rs 42,500 in India. Recently, Samsung started taking pre-orders for device on its e-store. Samsung is asking consumers to pay a fixed sum of Rs 2,000 as a Pre advance to get in the queue for the device. The listing on Samsung India's e-store also promises all consumers an assured gift with every pre-order. Surprisingly, though the company has started booking for Samsung Galaxy SIII, it still has not revealed the fixed smartphone's pricing. Also, the terms and conditions don't offer a cancellation option if a user changes his mind. According to terms and conditions on the side, "At the time of launch, an email will be exclusively sent to customers who have pre-booked their Galaxy S III on the eStore, informing them of the availability of the Galaxy S III." 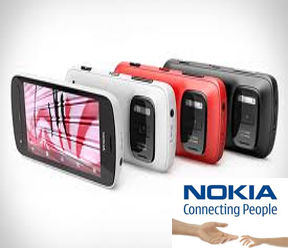 Nokia surprised the Cellular technology when it Unveiled the launch of Nokia 808 PureView and its new camera-phone technology which is a Majestic Treat to every Photographer. Promising a headline-grabbing 41-megapixel sensor, paired with image processing systems which are more likely to be found on Spy Satellites and not in Smartphones, it’s the first fruit of a project five years in the making. Until now, though, all the sample images we’ve seen have been produced by Nokia’s own hand, One of the Source jumped at the chance to join the PureView team at the headquarters of lens supplier and imaging specialist Carl Zeiss in Southern Germany to take some shots of their Own. Read on for the full sample gallery – together with some comparison shots with the Nokia Lumia 900 – along with the full story as to why PureView is so special. In a sense, the 808 PureView is two different camera-phones. On the one hand, there’s the raw resolution of the sensor itself: 41-megapixels on paper, but, because Nokia opted to deliver true 4:3 and 16:9 without cropping the former for the latter, as other cameras usually do, actually delivering 38-megapixel 4:3 shots and 34-megapixel 16:9. There’s no zooming in this mode, the PureView team not allowing any interpolation anywhere near the phone. Nokia says that it considered using a huge 5-megapixel sensor that would match the 41-megapixel chip in the 808 PureView for physical size, but it ran into aliasing issues. It would also lack the oversampling support, along with the ability to use those extra pixels for the 808 PureView’s other trick: a lossless digital zoom. 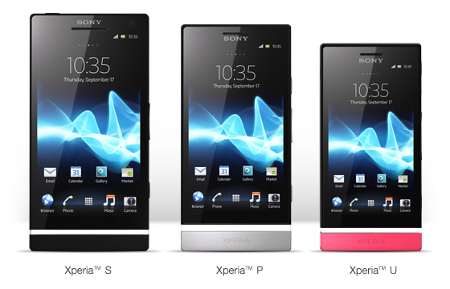 Sony Corporation on Thursday unveiled a range of smart phones to be launched in India. The three smart Phones - Xperia U, Xperia P and Xperia Solar Priced between Rs.17,399 and Rs.25,449,- have been designed for youth, executives on the move and high-profile users for a variety of services and applications through internet, web and television channels. The company’s smartphones, which operate on the Android OS, are shipped to India from its manufacturing units in Japan, China and Mexico. The devices have been bundled with Tata DoCoMo teleservices. “Partnering with Sony Mobile will enable us to provide customers with a compelling proposition – that of accessing free data services (up to 3GB) on Tata DOCOMO platform, making for a new and invigorating mobility experience on Xperia Sola,” Sunil Tandon, head of non-voice services, Tata Teleservices to Telecom Lead. Tata DOCOMO has introduced a gaming service called “Let’s Play on Android” – that lets users play premium Android Games on Xperia Sola on a very attractive monthly subscription of Rs. 99 only. This exclusive package of games “GAMETANIUM” consists of 30 premium games worth more than Rs.2000/-. HTC users who don’t have a phone from the One series and therefore have no Ice-Cream Sandwich aka Android 4.0, There’s some Cool news for you Guys. 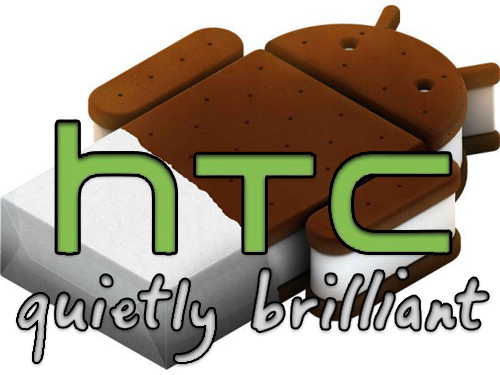 Tech2.in reports that, HTC is now rolling out Android v4.0 ICS updates to its other Variants of handsets also. HTC tablets which won’t get the updates, include the HTC Flyer, HTC EVO View 4G, and HTC Jetstream,and will remain on their current Android v3(Honeycomb). 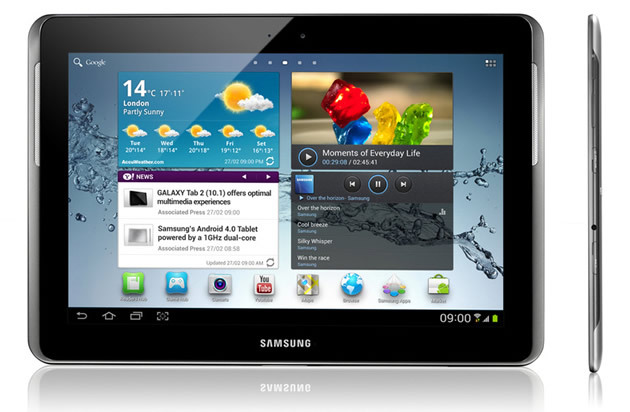 SamsungGalaxy Tab 2 310 is ready to launch in India this week. 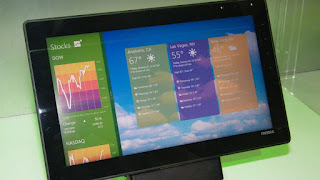 The tablet will reportedly be priced at Rs 23,250 (MRP). Unveiled at Mobile World Congress earlier this year, Samsung Galaxy Tab 2 7.0 or Galaxy Tab 310. 9.Connectivity: 3G, Wi-Fi and HSPA. Samsung Galaxy Tab 2 7.0 will be the sixth Android tablet from the company to be launched in India. The other five Samsung tablet launched in India are Galaxy Tab, Galaxy Tab 750, 730, 680 and 620. The tablet is available at some select retailers for Rs 19,500 approximately. Samsung's official online store is also taking pre-bookings for the tablet. 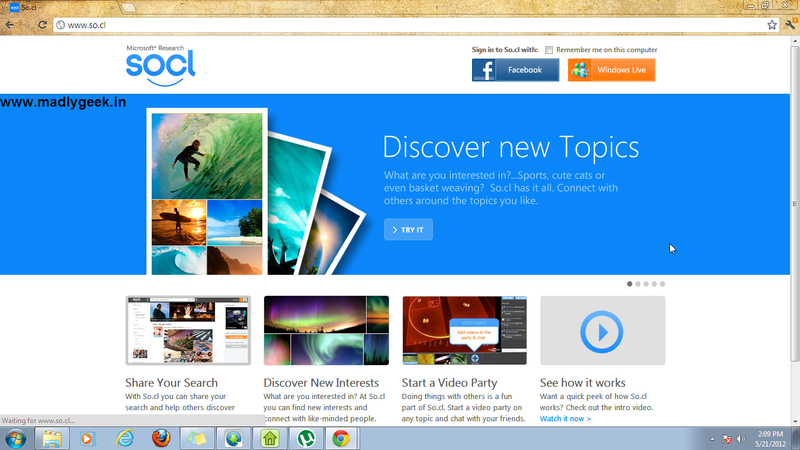 Microsoft has silently launched its social network So.Cl, which was in beta mode since December 2011. The site is now out of beta and is available to all the users. So.cl, pronounced as "social", is an experimental research project, developed by Microsoft's FUSE Labs, focused on exploring the possibilities of social search for the purpose of learning. So.cl combines social networking and search, to help people find and share interesting web pages in the way students do when they work together. To encourage interaction and collaboration, So.cl provides rich media sharing, and real time sharing of videos via "video parties." 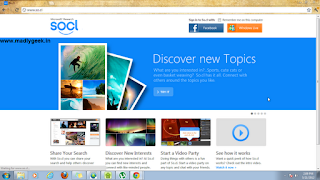 "We expect students to continue using products such as Facebook, Twitter, LinkedIn and other existing social networks, as well as Bing, Google and other search tools," said Microsoft in its FAQ section, adding, "We hope to encourage students to reimagine how our everyday communication and learning tools can be improved, by researching, learning and sharing in their everyday lives." By default, searches in So.cl are shared publicly. Your searches on So.cl are viewable by other So.cl users and will also be available to third parties. And, the So.cl search experience is powered by Bing. "In its December 2011 report, Microsoft asserted the site is not meant to compete with Facebook or search engines, but to allow students to share materials for academic purposes," as reported by Mashable. 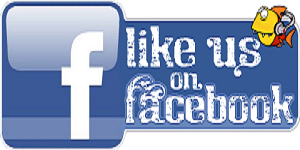 Users can log in with Facebook or Microsoft Live accounts. 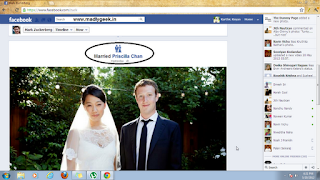 After A long 9 Years of Dating ,Facebook CEO married to an American Chinese Priscilla Chan. Facebook co-founder and chief executive officer Mark Zuckerberg upgraded his relationship status yesterday. He and his longtime girlfriend Priscilla Chan have become newly Married Couple. The 27-year-old Priscilla Chan and Mark Zuckerberg met at Harvard University and were dating for more than nine long years. Chan is an American-Chinese, Xinhua reported. A photo posted on Facebook showed the young CEO wearing a suit at the wedding rather than his trademark hoodie( Lol), while Chan wore a sleeveless white wedding dress. 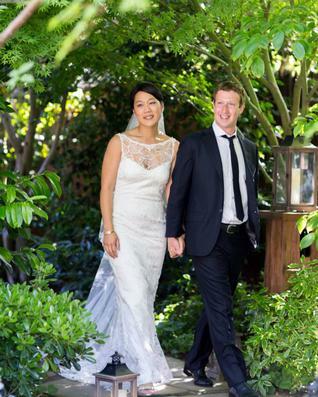 The couple tied the knot at Zuckerberg's home in Palo Alto, California. The guests at the wedding Ceremony believed they were going to celebrate Chan's graduation, but found they were at a wedding instead. The wedding ring, a "very simple ruby", was designed by Zuckerberg, BBC reported. "Zuckerberg's wedding was in his backyard, before fewer than 100 guests, who thought they were there to celebrate Chan's graduation," according to a tweet from a Huffington Post editor. The wedding wrapped up a busy week for the couple. Zuckerberg turned 28 Monday, the same day Chan graduated from the medical school at the University of California, San Francisco. On Friday, he rang the bell at New York's Nasdaq from the Facebook headquarters in California, staging one of the most anticipated initial public offering in Wall Street history. Zuckerberg continues to control around 56 per cent of the voting power of the company.